are	easy ways to get moving. All it takes is a moment to change a lifetime. See why these real Vermonters decided it was time to make a healthy change for themselves and their families. 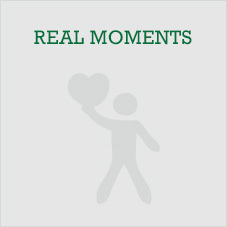 This site has the information and tools you need to help make your moment now. Staying a healthy weight is one of the most important things you can do for your overall health. By staying a healthy weight, you can significantly reduce your risk of heart disease and stroke. A healthy weight can also help control other conditions such as high blood pressure, high blood cholesterol and diabetes. First find out if you are a healthy weight and if not, see what small steps you can take to get there. How do I get to a healthy weight? It can be hard to tell if you are an unhealthy weight. Many people say their weight “slowly crept up on them” before they even realized it. Use these techniques and tools to help you figure out if you are perhaps an unhealthy weight then see what small steps you can take to get your weight under control. If you're a man and your waist measures more than 40 inches or a woman whose waist measures more than 35 inches, you are at increased risk of developing health problems such as heart disease, high blood pressure and diabetes. 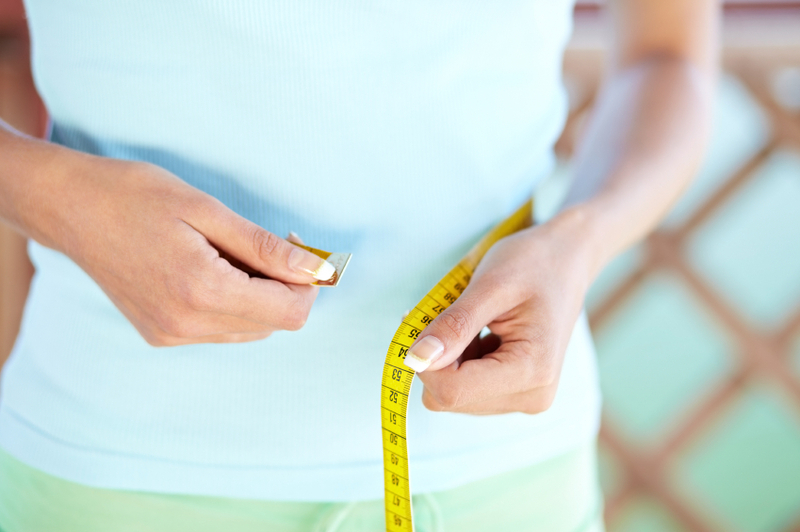 To correctly measure your waist, stand and place a tape measure around your middle, just above your hipbones. Measure your waist just after you breathe out. Another way to see if your weight falls within a healthy range is to know your BMI (Body Mass Index). Find out if your weight is putting you at risk for obesity-related diseases such as high blood pressure, high blood cholesterol, diabetes and heart disease. Find your BMI. 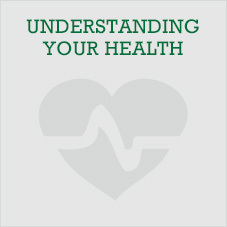 Click here to learn more about a variety of health conditions. Diabetes develops when your body does not produce enough insulin or when your body does not effectively use the insulin it does produce. Too much body fat decreases the body’s ability to use insulin leading to Type 2 diabetes. Losing weight helps you to use the insulin you make better and improves blood sugar control. Click here for more information about preventing diabetes. Heart disease or “cardiovascular disease” is a general term used to describe a range of conditions that affect your heart. The various diseases that fall under this include diseases of your blood vessels, heart rhythm problems, heart infections and heart defects you’re born with. By achieving and maintaining a healthy weight, you can significantly reduce your risk of heart disease and stroke. Click here for more information about preventing heart disease. Blood pressure is how hard your blood pushes against the walls of your arteries when your heart pumps blood. High blood pressure or “hypertension” occurs when the force of blood pushing against artery walls is excessively high. Lack of physical activity and being over weight are two large factors that play into high blood pressure. It is important to keep your blood pressure in a healthy range. This will help reduce your risk of coronary heart disease, heart failure, stroke and kidney failure. Click here for more information about preventing high blood pressure. Cholesterol is a waxy substance that is found in the fats in your blood. Your body produces cholesterol naturally and you can get it from the foods you eat. Fatty meats, egg yolks and cheese all have cholesterol in them. Your body makes all of the cholesterol it needs. If you have too much cholesterol in your body, it can build up inside your blood vessels and make it hard for blood to flow. By lowering your cholesterol intake, you can dramatically reduce your risk of heart disease and stroke. Click here for more information about preventing high blood cholesterol. To lose weight, you need to burn more calories than you eat each day. Eating healthy foods and getting more physical activity can help you lower your weight and your risk for certain conditions. Calories are the energy in the foods you eat. You burn calories when you are physically active. Find out how many calories your body needs each day. Are you a healthy eater? Find out by taking this short quiz. 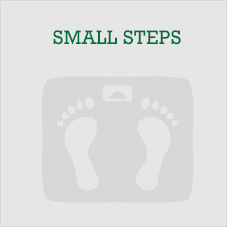 Check out the Small Steps section of this site to see where you can start. Taking steps to live a happier and healthier life doesn’t need to be difficult. Start small with things you can do. This section will give you handy tips to help deal with some of the common reasons you don’t get enough exercise or eat healthier food. Eating healthy is an important part of living a healthy life. This section has tips and tools to help you and your family stay healthy and feel your best. Click the images below to get started by learning how to plan meals, shop smarter, understand nutrition labels, and more. 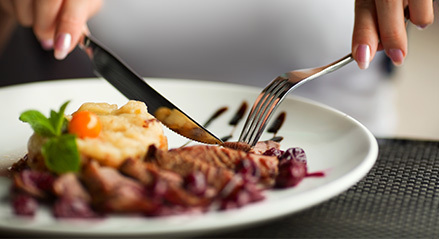 Eating out can be easy and fun, but it is difficult to eat healthy in a restaurant. Some common restaurant meals such as fish and chips, or steak and potatoes, might have over 1200 calories (that’s over half of your recommended daily amount for an average adult)! For most adults, eating just one meal away from home each week leads to two pounds of weight gain a year. Eat a piece of fruit or a small, light snack before heading out to a restaurant. You’ll make better choices if you’re not hungry. They’re tempting and often delicious, but fries are just extra calories and sodium. Try substituting your side of fries for salad or vegetable soup. Most restaurant meals come with a lot more food than we need. Get more for your money by taking home half of your meal to eat the next day. Try asking for a container before your food arrives. When it does, put half in the container right away. This will help you not to over eat AND you’ll get an extra meal! 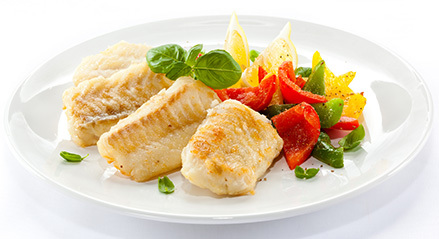 Avoid these menu items when ordering: Pan Fried, Crispy, Dipped, Scalloped, Creamy, Basted, or Breaded. Instead look for menu items that are Grilled, Steamed, Poached, and Baked. Additionally, these words usually mean something is high in salt: Marinated, Pickled, Smoked, Breaded, Brine, Au Jus, Teriyaki or Broth. Order water, soda water, unsweetened ice tea or lower-fat milk. Avoid soda, and sugary drinks. Use milk instead of cream in your coffee. Order your salad dressing on the side. Restaurants often over-dress their salads, adding a lot of calories. Similarly, sauces and gravy can be high in both salt and fat. Either ask to skip them altogether or request them on the side so you can control how much you put on. Order two salads and then split an entrée with a friend or family member. Order the smallest hamburger or sandwich on the menu (a kids' size is perfect). Leave off the cheese, mayonnaise, and "special sauce". Get lean meat (turkey, chicken, roast beef) on your sandwich, and ask for chicken or fish to be broiled or grilled instead of fried. Pick pizza with thin crust, cheese, and vegetables. Get baked chips instead of regular chips or fries. Skip fried foods like battered fish, onion rings, egg rolls, or fried tacos. Choose restaurants that offer healthier options. Fast food restaurants in Vermont list nutritional information on their menus. 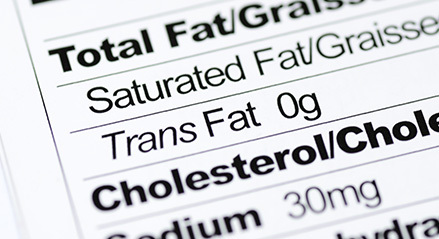 Look for items lower in calories, saturated fat, and sodium to help you make smart choices. It can be difficult to know how much and what types of food you should be eating for a healthy and balanced diet. With today’s portion sizes, it’s easy to over-eat without even realizing it. Whether you are trying to lose weight or maintain your current weight, here are three steps to help you. This website has excellent tools to help you stay on track. Over the years portion sizes have steadily increased along with the number of high fat and high calorie foods. Comparing real portions to everyday items is an easy way to help understand portion sizes. Here are two useful tools to give you a good idea what one serving looks like for a wide range of foods. Fruits and veggies are generally low in fat and calories, and high in nutrients. Eating more fruits and vegetables can help you feel full with fewer calories and help you achieve and maintain a healthy body weight. Here are some good things about fruits and vegetables. Vegetables and fruit are a major source of important vitamins and nutrients that can help reduce the risk of some types of cancer, heart disease and stroke. Fruits and vegetables are full of this mineral, which can help lower blood pressure. Fiber helps keep your digestive system healthy. Eating more fiber has been linked to a reduced risk of colon cancer. In general, the darker the color of a vegetable or fruit, the higher its nutrient value. Enjoy a variety of colorful fruits and vegetables to get the greatest benefits from them. Most kids love fruit but may not like vegetables. What’s a parent to do? Help children enjoy their greens – and reds, yellows, oranges, blues and purples! Show your kids that vegetables and fruit can be fun! And you can pick them up with your fingers and dip them in yummy sauces! Children who sit with their family for meals eat more fruits and vegetables. 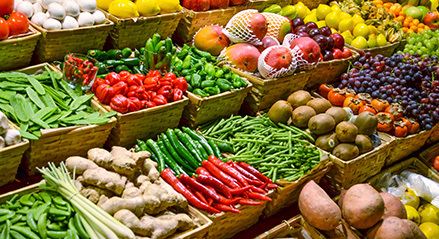 Involve your children in buying and preparing vegetables and fruit. Let them pick a new fruit or vegetable to try. At home they’re more likely to eat foods they help prepare. Give them tasks they can handle. A three-year old can bring ingredients from the refrigerator to the counter and then can tear salad greens. An older child can measure ingredients and prepare simple dishes with your help. Teenagers can take some – or all – responsibility for meal preparation. Planning ahead is key to maintaining a healthy diet. When we don’t plan ahead, we tend to choose the less healthy option because it’s easier. Good meal planning requires smart shopping. Having a meal plan makes writing a grocery list easy, which saves time wandering the aisles at the store and having to go out at the last minute for missing ingredients. A meal plan helps you stick to your budget and get food on the table more quickly, which keeps the family fed and healthy. 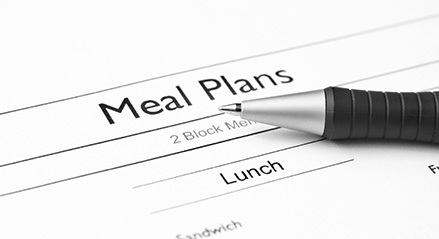 Set aside a little quiet time each week to make a meal plan. Use these meal planning examples to help you get started. Get the family together and brainstorm healthy meal and snack ideas for the week. Consider what foods are already in the fridge, freezer and pantry. Start with family favorites, and then try adding something new. Look through cookbooks or recipe websites to inspire you. Use your meal plan to create a shopping list. Tack your meal plan to the fridge door and try to stick to it. Enjoy your week of meals and snacks. Avoid temptation. The best way to not eat unhealthy foods is to not buy them or keep them in your home. Eating a healthy breakfast is important. Starting your day with some whole grains and lean protein will give you energy for the whole day and help keep you full. Keep healthy snacks handy. Fresh and dried fruits and natural nuts are delicious and filling. Keeping them in your home and where you work helps you avoid temptation because you always have something healthy close by. Cook together. Eat together. Talk together. Make mealtime family time. When you buy packaged food, you will see that it has a Nutrition Label with important information about the contents of the food. The Percent Daily Value on the Nutrition Facts label is a guide to the nutrients in one serving of food. For example, if the label lists 15 percent for calcium, it means that one serving provides 15 percent of the calcium you need each day. When using the % DV to make healthy choices, consider the serving size listed on the Nutrition Label to be sure you are comparing similar amounts of food. You can use the Daily Value (DV) to compare two different food products to make the healthiest choice. Or you can use the daily value (DV) to choose products that are higher in the nutrients you want, and more of and lower in the nutrients you want less of. The daily value (DV) is based on a 2000-calorie (per day) diet. A good rule to remember is to look for items that have less than 5% DV for Total fat, cholesterol and sodium, but more than 15% DV for vitamins, fiber and other good nutrients. All of the information on the Nutrition Label is based on a specific serving size of food such as 172g. The serving size is always found at the top of the Nutrition Label. Always check your serving size and the number of servings per container. This helps you determine not only one serving but also, what’s in the whole container. Watch how much you eat. If you eat two servings you need to double the amount of calories and other items on the label. Be sure to get plenty of Vitamin A, Vitamin C, Vitamin D, Potassium, Calcium, Fiber and Iron. Shopping for healthy foods can seem tough. There’s so much to choose from, and it may seem like there is never enough time or money to buy what you need. Look for sales – Read the flyers. When foods you like are on sale, plan your meals around the deals. Plan your meals for the week – Think about how you will use the ingredients. If you’re buying broccoli but only need half the amount for a recipe, pick a recipe for another day that will use the rest, or buy frozen broccoli. There will be no waste and the rest can be saved for when you need it. Plan when you will eat leftovers. 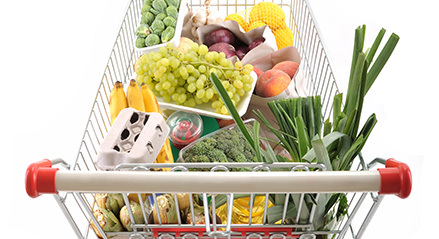 Choose foods in season or try frozen – Foods like fresh berries are expensive out of season. Try frozen for good quality and better value. 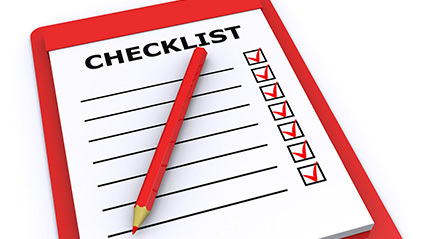 Make a list and stick to it – Include all the ingredients and snacks you will need for the week. Cut down on “convenience foods” – Ready to eat or prepared foods usually cost more for less food. You can prepare dinner the night before so when you get home you can just put it in the oven. Compare brands – Different brands might have very different prices but be almost of the same quality. Read the labels to get the best value. Buy bulk – Buy meat in large packages to save money. Freeze portions that you don’t use right away. Use a slow-cooker – Slow-cooking saves cooking time and cooking meat slowly can turn cheaper cuts of meat into a tender delicious meal. Try dried or canned beans, and canned fish – These foods are a good source of protein and can be used in many different ways. Start shopping on the outside aisles in the grocery store. The center aisles are where more costly pre-packaged and heavily processed foods are sold. Don’t shop when you’re hungry. When you are hungry, you are more likely to buy foods that are higher in fat and calories. Buy canned or frozen fruits and vegetables (but make sure canned fruits are in their own juices and not sugary syrup and vegetables are low in sodium/salt). 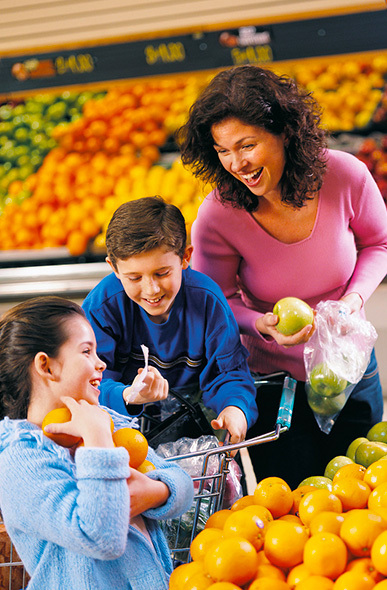 Click here for additional tips to help you shop smarter and healthier for your family. 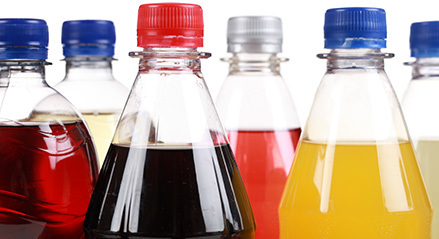 Sugary drinks are beverages that have sugar or sugar syrups added to them. These include energy drinks, fruit drinks, soda, sports drinks, slushes, specialty coffee and tea drinks, and vitamin-enhanced waters. Calories from drinks don't fill us up or give us any benefit. Some large drinks contain as many calories as a whole meal. Too many calories from all sources, including sugary drinks can lead to weight gain and risk of diabetes, high blood pressure and heart disease. The sugar in these drinks can lead to cavities and tooth pain. Calories from sugary drinks can add up fast. Drinking one 20 oz sugary drink a day is enough calories for 26 pounds of weight per year. All that sugar can lead to a wide range of health issues for you and your children, including diabetes. Think about just how much sugar you are drinking when you have one of these beverages. How can we choose a healthier option? Drink more water instead of a sugary drink; dress it up with a squeeze of lemon, lime or orange for a calorie free drink. Water is both calorie and sugar free. It helps you stay hydrated, alert and energized. Always try to choose drinks with no added sugar. sugar, brown sugar, cane sugar, beet sugar, sugar/glucose-fructose, dextrose, high fructose corn syrup, maltose, sucrose, fruit juice concentrates, honey, molasses, maltodextrin, agave syrup, malt syrup, maple syrup and syrup. There is little nutritional difference between the types of sugar. Try to limit the amount of ANY of these that you drink. Try drinking water, check out how you can join The Drink Up Movement happening across the country! 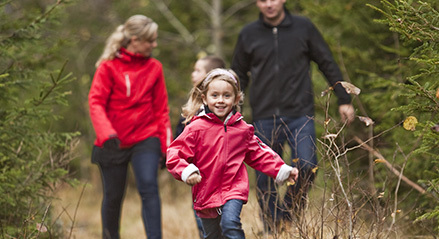 Physical activity doesn’t have to involve classes or expensive equipment. There are many ways to fit physical activity into your daily routine. Choose activities that you enjoy the most because it will be more likely that you will continue doing them. However, if you still find it difficult to get motivated, consider joining an organized class or group and getting active with someone you know. Today is YOUR day, so make it an active one. Doing just 30 minutes of physical activity a day can help you. So get up and get active. Your moment is now. Think you’re already pretty active? Find out by taking this short quiz. You’re inspired. You’re ready to get moving. It’s time to set some goals for yourself. 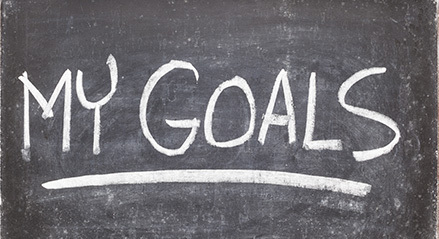 Here are some tips for goal setting. Be specific. Set precise daily, weekly, and monthly goals. Be realistic. If you make goals too difficult, you might get discouraged. For example, if you have not been exercising, don’t expect to run a half marathon after only a couple weeks of running. Goals should be challenging but attainable. Set measurable goals. Walk or run for a specific distance or within a certain amount of time. Try to improve by 10% each week. Be vocal. Tell friends and family about your goals and don’t be afraid to ask for help or advice. Track your progress. Have fun. Getting in shape is a great opportunity to be social and get involved with new activities. Join a local sports league or download a fun fitness app. 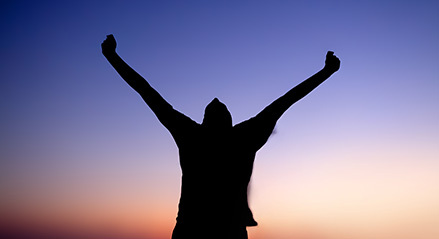 Celebrate successes. Treat yourself to small prizes after reaching each weekly goal (a pedicure, some frozen yogurt, a date night, etc.) Reward yourself with larger prizes after reaching monthly goals. Have faith in yourself. Confidence is key. You know you can do this. All you need to do is prove it to yourself. Research shows that people who write out goals not only end up achieving them but also have higher ratings for overall success and life satisfaction. Print out this Goal Setting Worksheet to help track your short and long-term activity goals. You’re busy. We get it. Between work and family time, it’s tough to find a spare moment to exercise. Here are some fun and easy ways to overcome daily challenges. That’s okay! There are plenty of ways to get exercise throughout the workday. Click here for workplace exercise tips. I’m afraid of injuring myself. Being fit should be a lifestyle, not a quick fix. Here are some tips for staying motivated. Listening to music can improve your exercise performance! And involving friends in your exercise and weight loss goals is helpful. 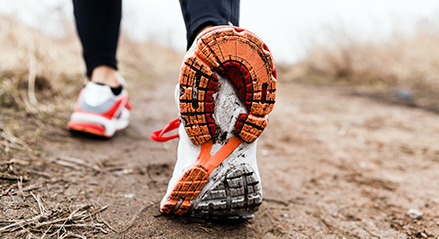 Here are some great resources to help you not only get active, but stay active. A single moment can change your future and redefine who you are. Watch Sheila, Bryan, Dawn and other Vermonters as they describe how one moment changed their life and gave them a new way to think about their health. Join us on Facebook to share the moment when you knew it was time to make a change to your life − That moment when you decided it was time to take control. To eat healthier. To be more physically active. To make healthier choices for you and your family. Encourage others with your experience. ©2013 Vermont Department of Health. All rights reserved.